Atanas Valkov’s score demonstrates a highly individual voice and approach to the project. 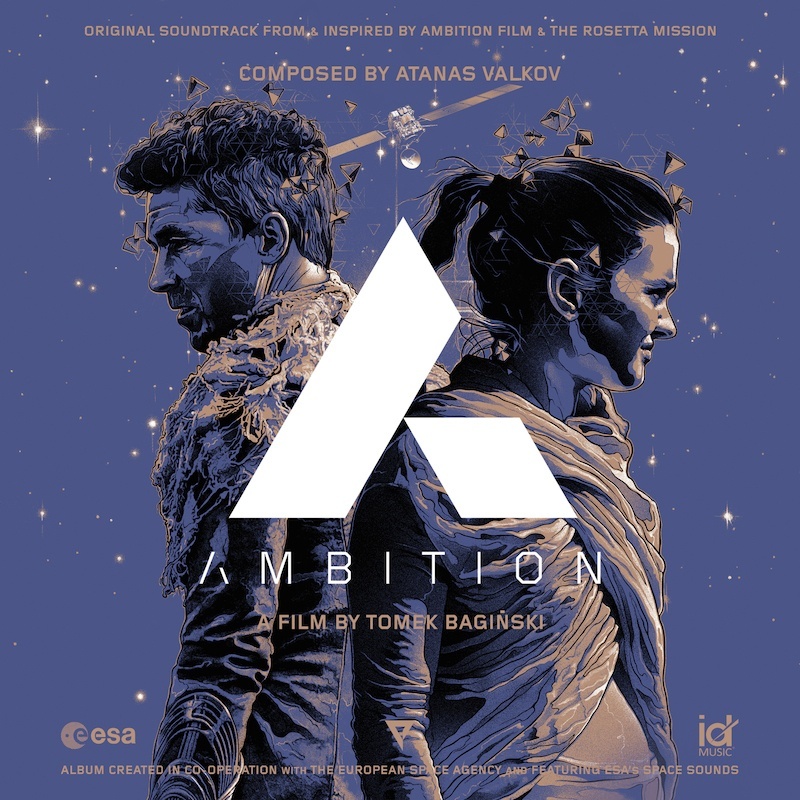 The album is inspired by the European Space Agency’s historic Rosetta mission and the film “Ambition” (directed by Tomek Bagiński, starring Aidan Gillen and Aisling Franciosi), whose soundtrack was composed and produced by Atanas Valkov.“Ambition” features sounds recorded by the European Space Agency (ESA) during some of humanity’s most daring space voyages. Disguised as part of the music and sound effects, through sound design technologies, these samples blended in with the music to help shape this composers’ love project. “It’s a one of a kind sonic voyage into outer space combining the realms of music, film and science. What drives human beings to achieve great things is ambition. I felt that I really wanted to pay tribute to the incredible achievement that was the success of the Rosetta mission, so I used the film score, ESA’s sound vault and my music to produce this feature album” – Atanas said. The album also features special guests, including the European Space Agency’s own Alexander Gerst, prof. Mark McCaughrean and prof. David Southwood. The track called “Stubborn” features Mavin, a Berlin based singer and song writer, who provided unique flavor as he sang about conflicts between emotion and experience, and bitter lessons learned. The short film tells the story of one of the most important space exploration endeavours of this decade. Just as Gillen’s enigmatic Master encourages Franciosi’s Apprentice to seek out the key to life amidst a rugged alien landscape, ESA has been on a decade-long ambitious journey of its own, to unlock the mysteries of a comet and the origins of our Solar System with its Rosetta spacecraft, hundreds of millions of kilometres from Earth. AMBITION complements the ongoing communication about Rosetta and adds a “human dimension” to the scientific and technological achievements of the mission, which include curiosity, drive and ambition. Earth Chorus / Down Chorus – sonification made by Andrew Williams.